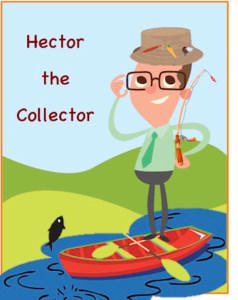 Our Collectors Attended Collection Summer Camp - Credit Mediators Inc.
It’s Hector the Collector and I hope you’re having a great summer. Here at CMI, we’re having a great time too but it’s not all arts and crafts, fishing, and singing around campfires. Instead, we’ve taken advantage of the summer time by boning up on many of our skills. In this day and age, we collectors need to be a work in progress, expanding our knowledge and skills in many fields that requires taking courses, participating in specialized trainings, and attending conferences and lectures. Although topics include general business, finance, accounting, commercial law, import & export, insurance, and even psychology, the real goal is to acquire a creative approach that supports analyzing difficult collection problems and finding solutions. Not too long ago, one of our clients had a customer that would not pay claiming that the oil shipped for use in their manufacturing process did not match the oil required under their specifications. They asserted that a different brand name of the oil indicated a significant difference. However, after one of our collectors researched the oil shipped and compared it on a chemical basis to the oil named in the specifications, it turned out that both of these oil products had the exact same chemical formula and structure. As a result, the customer was completely put at ease and the account was paid in full. I can’t emphasize enough how important having good psychological insights are in establishing a line of trusted communication. When initially speaking with the other party, is the person a man or a woman, young or old, a slow or fast talker, or very polite or rough around the edges, are just some of the initial traits we need to quickly confirm. As we collection professionals only have a few seconds to forge a rapport with the other the party, listening intently to every word, the tone of the voice, and the rhythm of their speech provide us with psychological insights that paint a picture of the other person. In other words, the faster we understand the nature of the person with whom we are talking, the quicker we can adjust our approach, and the more effective our communication and subsequent negations can be. So even if our summer wasn’t exactly all fun and games, our desire to keep learning, improving, refining and expanding our knowledge base is all part of the CMI strategy to stay focused, sharp, and experts in our profession.